The displacement hull form is configured to minimize drag or the resistance to forward motion. Some of this drag comes from the friction between hull and water but most of the boat’s energy is spent creating unwanted waves as speed increases. Once HULL SPEED is achieved, almost all further energy applied to the propeller is wasted in wave generation with no reward in speed. When SLR reaches 1.34 a displacement boat will achieve its HULL SPEED – meaning it’s about as fast as the boat can go. Planing hulls have no such restriction. By the time SLR reaches 2.00 you might call it a speed boat! How is your arithmetic? How many knots can a 16 foot displacement boat be expected to go? Instead of moving water out of its way, planing boats are designed to move quickly on top of the water. The planing boat hull form is configured to develop positive dynamic pressure on its bottom so that its draft decreases with increasing speed. 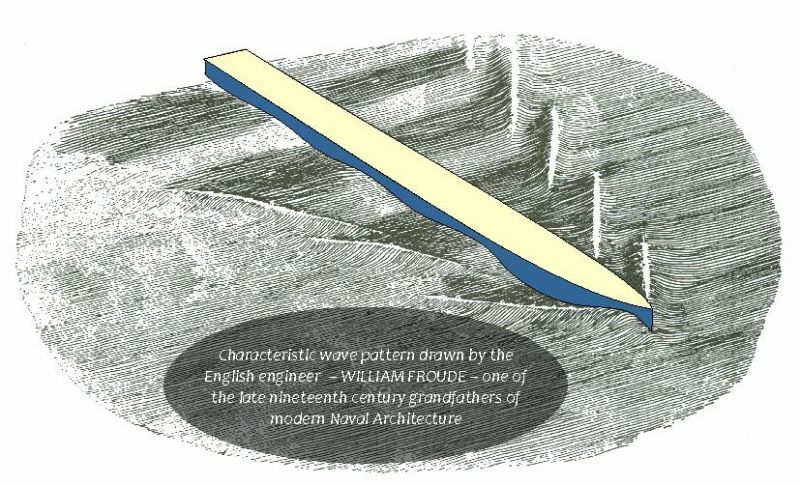 This enables it to run higher and higher on the wave it is generating or “ride on top of the water”. To gain the necessary speed requires much power. 3. Straight buttock lines cut off cleanly by a transom stern. 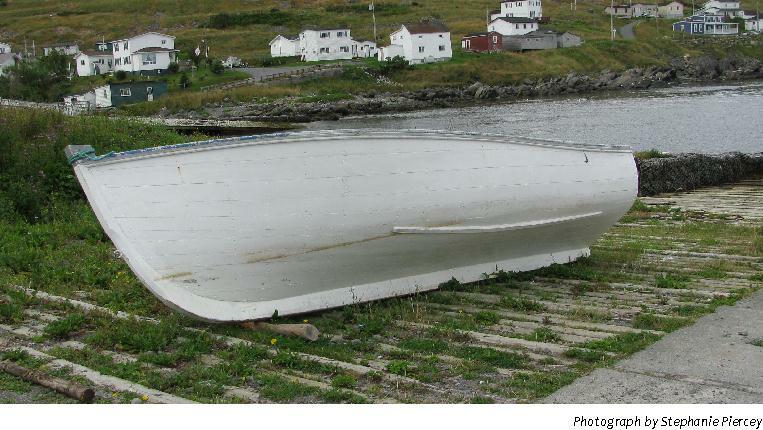 While the perfect planing boat has the benefit of speed, it can be dangerous in heavy seas of the northwest Atlantic. Alternatively, a well designed displacement boat can withstand rough waters, but it is limited in speed. A planing boat will win the race, but a displacement boat will get the crew back safely.